In the previous entry we discussed the various recipes available for transforming raw materials ferried from Earth into commercial goods that can be exchanged for money in the market. 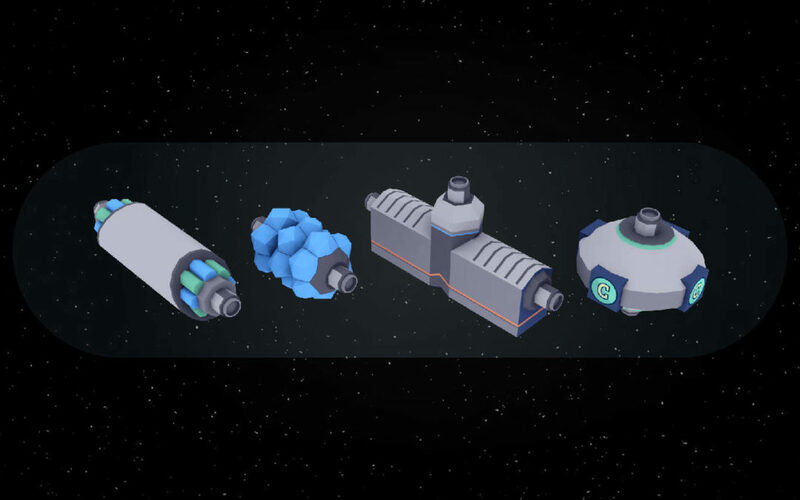 In this blog post, I’m going to dive deeper into the details of the manufacturing system available in the LEO station, which is comprised by the following three elements: ‘Production Lines’, the ‘Supply Flow Control System’ and the ‘Storage Priority Management System’. The LEO station features a complex system involving production lines which allows players to streamline the production of goods and obtain bonuses. The implementation details of the production lines have already been described at length in an previous blog post entry, back when the game was called ‘Space Station Inc.’. The information contained in that blog post is still accurate (apart from the name of the game and the visual style of the space station modules), so please feel free to refer to it in order to understand the details behind production lines. The second important piece of the manufacturing system in the LEO station is the ‘Supply Flow Control System’. By default, outputs of a production line are routed to the station’s storage system. 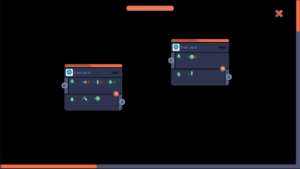 This system allows players to make connections between production lines in order to bypass this restriction and connect two production lines directly. 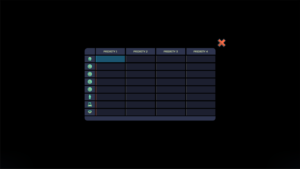 The Supply Flow Control System is shown as a big scrollable surface featuring entries for each production line. By using the mouse, players can ‘draw’ a path between a production line’s output and another production line’s input. 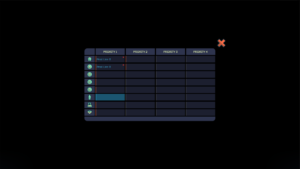 After making the connection, the game will show them a dialog where they can select how much of a given output they want to route to the next production line. This can be useful if, for example, we want to satisfy the inputs of a production line (e.g., ‘Prod Line C’) using two or more production lines (e.g., ‘Prod Line A’ and ‘Prod Line B’). The final element behind the manufacturing system is the ‘Storage Priority Management System’. This system allows players to specify how the various goods are routed as inputs to the existing production lines. Most of the time, the station will be working at full capacity and there will be enough input goods for all existing production lines. But sometimes problems occur (e.g., modules break, there’s not enough raw materials available, etc.) and this causes disruptions. In these cases, players will certainly prefer to have a more granular control of the situation, and the ‘Storage Priority Management System’ provides exactly that. The screen shows all the types of elements that can be used as inputs for manufacturing (i.e., raw materials, intermediate goods A, B, C and D, ceramics, chemicals and crystals). For each type of element, players can specify up to four priorities. If no priorities are specified, elements will be routed to each active production line that requires them in alphabetical order (e.g., ‘Prod Line 1’ is going to have higher priority than ‘Prod Line 2’). The price of ceramics in the market is experiencing an unprecedented rise. The player has a LEO station featuring two production lines: ‘Prod Line A’ and ‘Prod Line B’. ‘Prod Line B’ produces ceramics only. ‘Prod Line A’ is more diversified and produces smaller quantities of various commercial goods. Giving priority of ‘Raw Materials’ and ‘Intermediate Goods A’ inputs to ‘Prod Line B’, so that they can be sure that ‘Prod Line B’ will have precedence when it comes to input materials. Preventing the routing of ‘Ceramics’ as inputs to other production lines, so that players can accumulate as much ceramics as possible. Notice that, by selecting said option, the ‘Priority 2’ entry for ceramics becomes immediately unavailable. 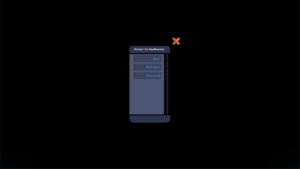 This is shown by displaying a gray vertical bar at the left of the entry. 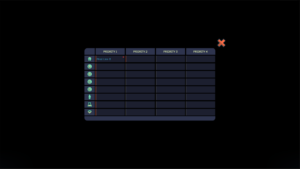 As you can see, the manufacturing system in Space Station Designer provides lots of options for players to streamline their processes and tools in order to adjust to the ever changing conditions. 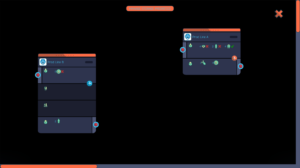 If you have any feedback, don’t hesitate to leave a comment below or drop us a line via the contact form at the bottom of the Space Station Designer website.